There's something so satisfying about seeing makeup being used up! Half of the YouTube videos I'm watching lately have been Project Pans and declutters, so I was looking forward to updating my own yearly Project Pan. This is a rolling project, which means that as I finish a product, I will add in another so that I always have 18 to work on. 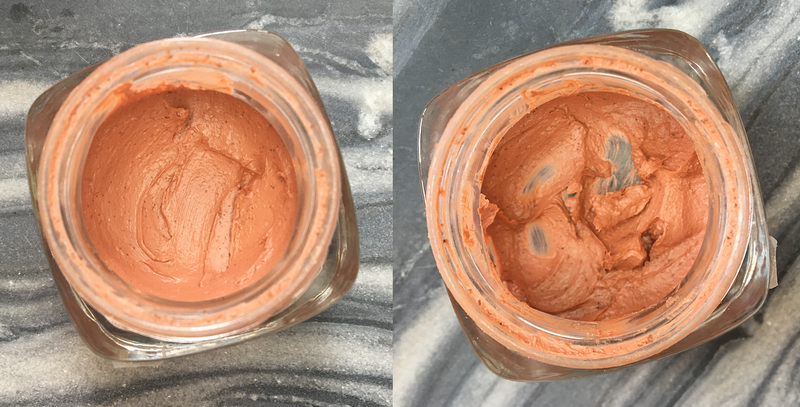 I'm focusing on a lot of different areas in my makeup collection this year: makeup that isn't cruelty-free, makeup that is getting old, sample sizes, or a combination of the above. 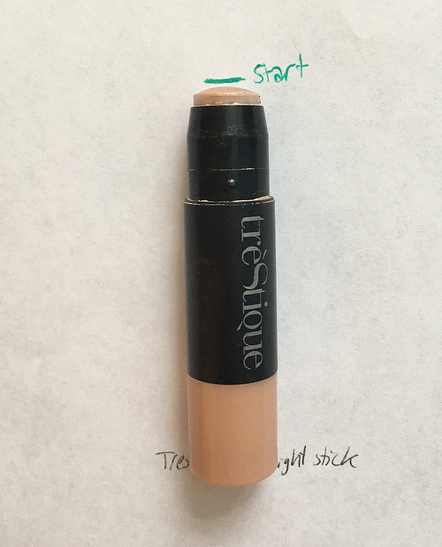 I want to use up makeup that I don't usually reach for and therefore wouldn't likely finish without including it in a project. My goal is also to use up $200 worth of products in my Project Pan throughout 2018! I've made some progress on almost everything and I have comparison photos so you can see where I was at in the beginning of January vs. now. 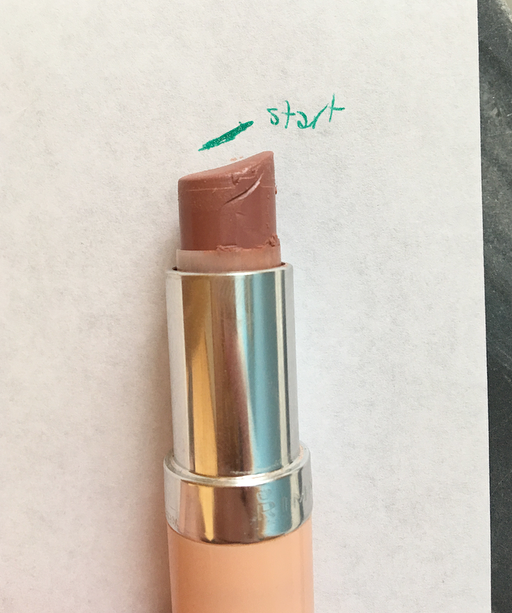 On liquid products I used nail polish to mark where I started, and on stick products (lipstick, eyeliner) I marked the original length on a piece of paper. I can't believe I haven't finished this yet! I wear it at least three times a week and it was almost finished to begin with. I wish I could see how much was left in it, I don't think it will take me more than a month to finish. 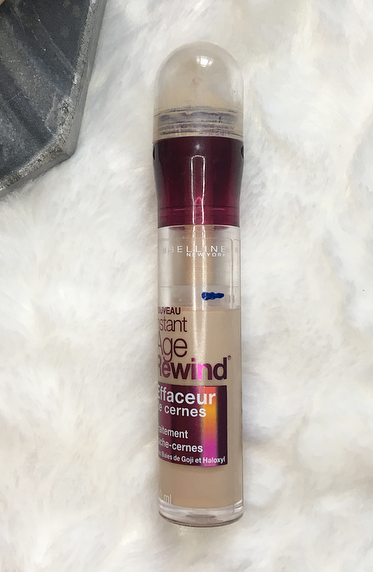 I've been enjoying using this product but sadly I won't be repurchasing it when it's gone. If you know of any similar foundations please let me know! I can't show progress on this one because of the packaging, but it's definitely getting low. Hopefully you can see the small amount of progress I made on this concealer...I thought I would be closer to finishing it by now. I'm definitely going to need to find new ways to use this if I want it to be gone by the end of the year! The navy nail polish line is where I started it at. I majorly expanded the amount of pan I have showing! I'm so happy with the progress. I've been using it every day and though it will take some time, I definitely think I will finish it this year. No progress on this yet, I'm trying to focus my use on one side of the pan but there is no dent yet. 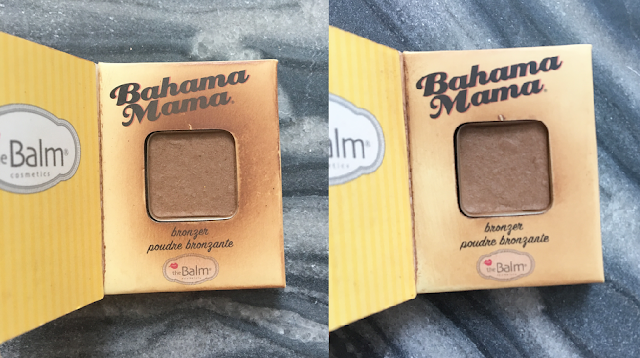 I may have to try using this as a bronzer, too. I'm not even going to bother including before/after because there's no visible progress. I simultaneously like and dislike this product. The formula is really nice, it's just so hard to use! 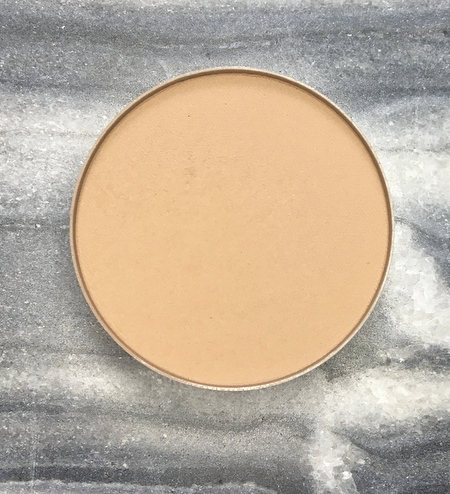 I like to use a big powder brush to evenly disperse bronzer all over my face, but this sample it so small that it's hard to get a brush into it. I'm hoping to at least have hit pan on it next update. 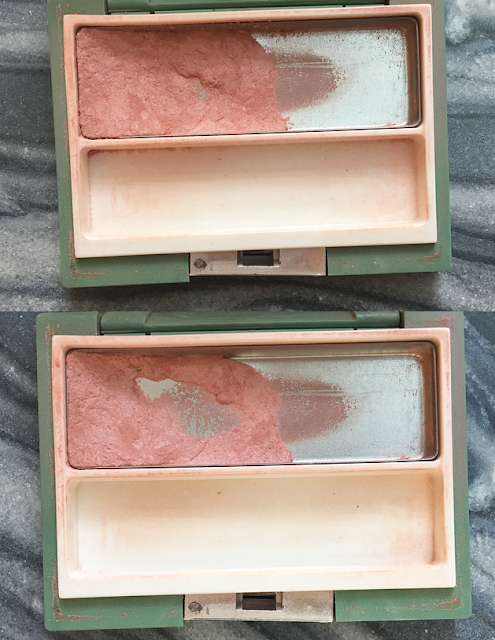 I have hit pan once again on the never ending blush of my nightmares...I love this shade, it's so easy to wear, but I've had it in my collection for ages and I'm ready for it to be gone! Since repressing it into half of the pan, I've used enough of it to hit pan again. Now I'm going to start focusing on the thicker part that is near the edge. My goal is to hit pan on at least five shades in this palette, not including the peach shade that I destroyed about two weeks ago (I wanted to see how deep the pans were so I sacrificed a shade that I never use). 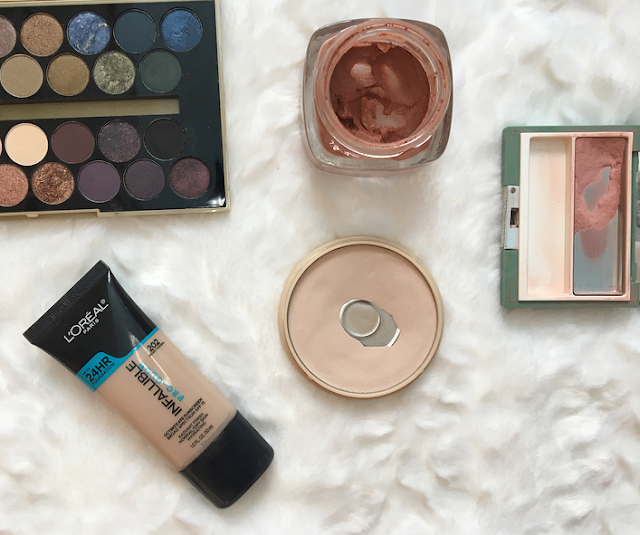 I mostly use the cream shade at the bottom, the cool-toned transition shade at the top, the highlighting shades, and the deep brown crease shade, but I've also used some of the shimmery browns and coppers. It's not the best formula, but I love the shade variety in here. Not a lot of progress here, but you can see a dip in the transition shade second from the top-left. I use this every day to brighten my waterline, but I've still only sharpened this eyeliner once or twice in the past few months. So far this eyeliner has not dried out yet, but I do enjoy using it. I don't think I'm going to finish this lipstick this year, but I am accomplishing my goal of using it more often. I keep it in my purse and use it underneath lip glosses and whenever I don't have another lip product. This is the lipstick I've been focusing on, and I'm so pleased with how much I've managed to use! I wear this almost every day to cover up the foundation I always manage to get on my lips. 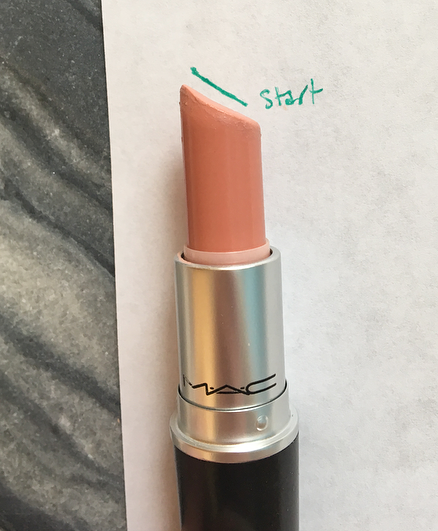 The formula is creamy and nice, maybe I will actually finish a lipstick for once. I can't tell how much progress I've made on this product, but I don't think it's very much. 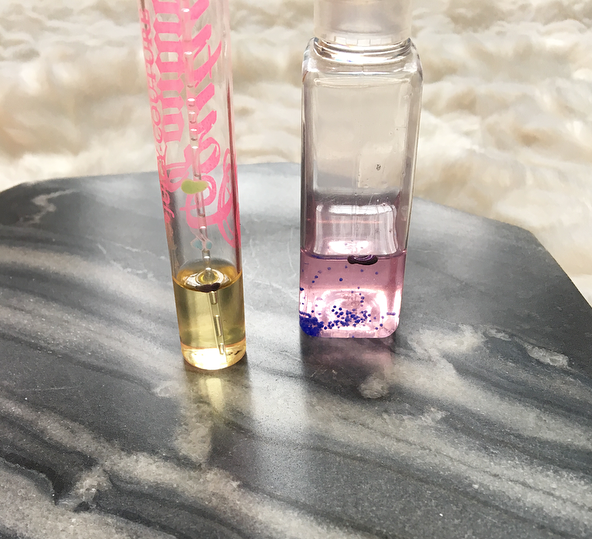 I use it everyday while doing my makeup as a little extra hydration for my lips but the tube doesn't seem any emptier. 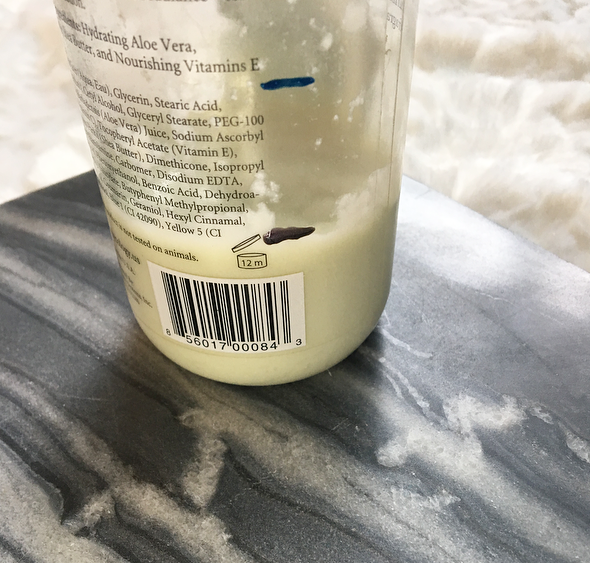 I've been using this lotion on my feet and legs almost every day and as you can see I used up a lot of it! The dark blue nail polish mark is where I started in January and the grayish-purple line is where I'm at now. I'm estimated I will finish this in two or three months if I continue using it as much as I have. FINISHED. This is the first product I'm considering finished in my Project Pan! There is a little bit of perfume left in the bottle, but the sprayer has stopped working and I'm calling it good. FINISHED. I kept this in my purse and used it after work and at school almost every day. I liked the scent a lot! It's very tropical and doesn't smell like hand sanitizer at all. I've been using this once a week and I guess you could say I hit pan on it. I don't really find that this mask does much for my skin, but it does help exfoliate my nose which is nice. It's directed to be used 2-3 times per week so if I start doing that I will finish it faster and maybe notice more results! Before including this in my Project Pan, I didn't get a lot of use out of setting sprays but I'm really enjoying this one. It isn't as fine of a mist as other setting sprays in my collection, but I don't mind it. I find that it helps my makeup look less powdery and dry. I'm pretty happy with how much I used up! I started at the mint/light blue nail polish mark and now I'm at the dark purple/gray one. I got this for Christmas ages ago and I'm not a big fan of the scent, but I want to use it up. As you can see I did try to pan this last year but I didn't finish it. I'm going to try to layer this with other perfumes and see if there are any combinations that I like! I have a ton of these mini hand sanitizers in my collection so I want to go through as many as I can this year! 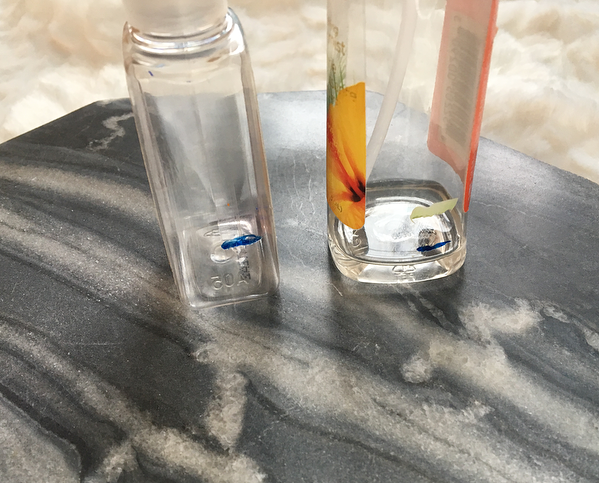 I enjoyed using the Caribbean Escape one a lot and I think I will like the Twisted Peppermint one even more, it has a fresher, cleaner scent. I'm about half-way through the bottle. As you can see I have quite a ways to go, but it's only the first update and overall I'm happy with the amount of progress I'm making! 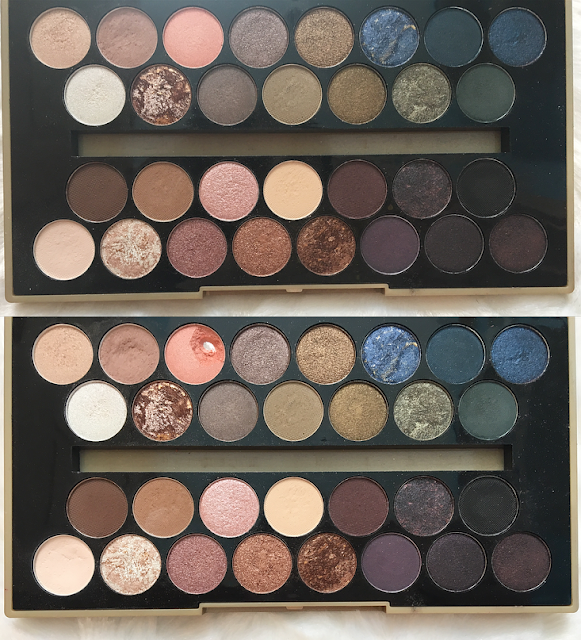 Are you doing a project pan this year? I would love to hear about it! 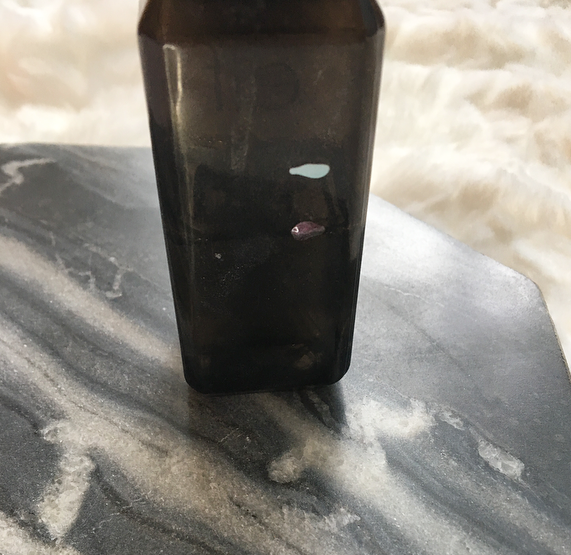 13 comments on "18 in 2018 | Project Pan Update #1"
Oh, all of these products look great! Thanks for sharing! 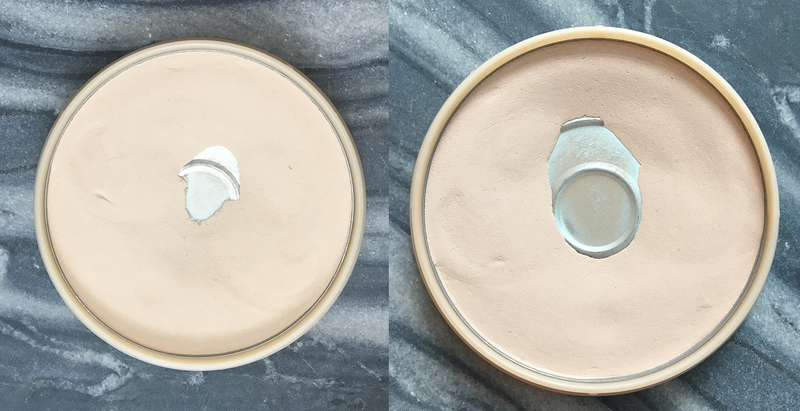 I really hope that your Stay Matte powder doesn't shatter! I find that once it does down to a certain pan, it just shatters and goes everywhere! Oh wow! You did amazingly well! I wanted to do project pan but I think I'm failing miserably, I kept rotating my products so everything gets equally used so it's almost impossible to get a pan. this sounds like a great idea. I think i will start one soon. 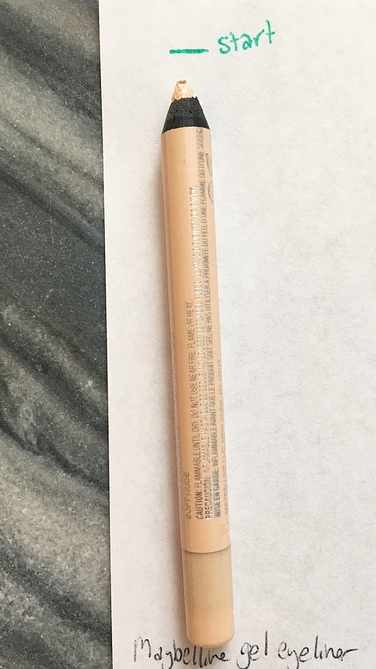 $7 Tarte Shape Tape Dupe? First Ulta Haul of 2018!